A federal judge on Monday stopped Texas from preventing Planned Parenthood from getting state funds through the Women’s Health Program. U.S. District Judge Lee Yeakel in Austin ruled there is sufficient evidence that a law banning Planned Parenthood from the program is unconstitutional. He imposed an injunction against enforcing it until he can hear full arguments. The law passed last year by the Republican-controlled Legislature forbids state agencies from providing funds to an organization affiliated with abortion providers. Eight Planned Parenthood clinics that do not provide abortions sued the state. The clinics say the law unconstitutionally restricts their freedom of speech and association to qualify to take part in state health programs. The judge accepted Planned Parenthood’s argument that banning the organization from the program would leave women without access to clinics for basic health services and check-ups. You can read the judge’s ruling here. The key to understanding all this is noted in this Postcards post. The ban on abortion providers or their affiliates has existed since the Women’s Health Program was created in 2005, but Planned Parenthood was able to become the program’s largest participant – serving about 50,000 women annually – by spinning off its health centers into a separate entity from its abortion facilities. Based on federal court rulings in other states, which found similar bans unconstitutional, state health department lawyers determined that Texas could risk federal funding if Planned Parenthood was banned. However, an opinion from Attorney General Greg Abbott last year found that banning the organization would not violate the law or the U.S. Constitution, and earlier this year state officials drafted new rules to exclude Planned Parenthood. Again, this was a hit job on Planned Parenthood from the beginning. If that meant access to health care for a hundred thousand or so women were to be jeopardized, that was no skin off Rick Perry or Greg Abbott’s noses. The federal government has said all along that states cannot do what Texas tried to do. The responsibility for the consequences of the state’s defiance fall directly on those who pushed it. BOR, Juanita, the Trib, and Texas Politics have more; a statement from Rep. Garnet Coleman is here, and a statement from Planned Parenthood Gulf Coast is beneath the fold. 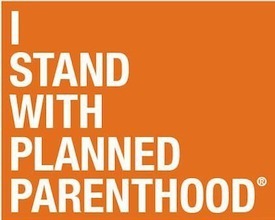 HOUSTON, TX — Planned Parenthood affiliates in Texas applaud a federal court’s ruling today to halt the state from implementing a rule that would have excluded Planned Parenthood from the Women’s Health Program. Planned Parenthood and its supporters call on Governor Perry and the state to continue this lifesaving program. On April 11, Texas Planned Parenthood family planning providers who do not perform abortions filed suit against the Texas Health and Human Services Commission (HHSC) in federal court in order to protect Texan women’s access to basic, preventive health services. In his ruling today, Judge Lee Yeakel agreed with the Planned Parenthood family planning providers that the new rule is likely unconstitutional because it bars them from participating in the Women’s Health Program based on their affiliation with legally and financially separate entities that engage in constitutionally protected conduct related to abortion. Shockingly, Texas officials have suggested that they would rather end the entire Women’s Health Program, eliminating basic, preventive health care for more than 100,000 low-income women, than have Planned Parenthood continue to participate in the program. Texan women remember that last year, Governor Perry eliminated two-thirds of the budget for women’s preventive health care. As a result, more than 160,000 low-income women have been left without access to lifesaving cancer screenings, birth control, testing and treatment for STDs and other health exams this year. Planned Parenthood affiliates in Texas are being represented by attorneys from the Texas firm Graves, Dougherty, Hearon & Moody, and are joined by Planned Parenthood Federation of America attorneys in the suit. For a copy of the order granting preliminary injunction, please click here. Planned Parenthood’s complaint is available onlinehere. FACT: Currently more than one-quarter of Texan women are uninsured, and women in Texas have the third-highest rate of cervical cancer in the U.S. FACT: Planned Parenthood is the single largest provider of care within the Women’s Health Program and consistently delivers high-quality care to low-income women. In fact, over 40 percent of the women who receive services through WHP chose to rely on a Planned Parenthood health center. FACT: Women’s Health Program funds are prohibited by law from paying for abortions. FACT: The Planned Parenthood health centers involved in the suit provide preventive health care, including lifesaving cancer screenings, birth control, testing and treatment for STDs, breast health services, Pap tests, and sexual health education and information. Where are the women’s health providers? I would love to see a listing of the % of bills each legislator sponsors that are later shut down in courts and the amount it cost the state to defend the nascent law because of their legislative incompetence. It’s been reversed by Judge Smith of the 5th Circuit. Judge Smith of the 5th Circuit has stayed Judge Yeakel injunction.